I’ve long admitted to being addicted to TV. It’s been a good friend to me since I was a kid, and quite honestly, I could never give it up. I have changed how I watch, though. For example, I will only allow myself to watch The Biggest Loser if I’m working out, and I save The Blacklist and Empire for days when I have to run on the treadmill instead of running outside. A few weeks ago I started the habit of watching ABC’s show “My Diet is Better Than Yours” while doing meal prep on Sundays. 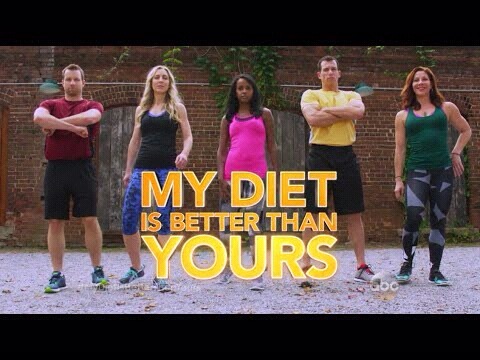 While I have many critiques about the show in general, what bothered me the most is that they made it seem like no matter who you are, or what your life is currently throwing at you, there can only be 1 answer to the question “which diet is best”. In week one, each contestant chose a plan, which they referred to as a diet, but it included workouts, and other habit changes, as well. Each week they would complete a challenge, work with their plan creator, and ultimately work to lose weight while training to complete a half marathon in order to be eligible for the final weigh in. Throughout the season, one challenger could change their plan one time, and start with a new plan. If they didn’t like that one either, they had to leave the show. The plans were very different, and many of them are plans we all know by different (and trademarked) names. They ranged from a Paleo-like diet, to an everything in moderation diet, to those that focused on changing habits rather than just the food (such as using blue plates to eat off because it’s a calming color). The approach in this show is one I can get on board with, as well, which is that these people were living their actual lives while doing this, they just had regular support from their “trainer” in that life. No being whisked away to a far away destination, they had to do this with their families, their coworkers, their friends, all continuing on with life around them. In the end, all of the contestants landed in a spot where they were significantly healthier, and with totally different attitudes on food, exercise and life, which is awesome. But what I don’t understand is why they had to make it a contest of the plans. How each person responds to an eating and workout plan is based on genetic, environmental, emotional, and physical realities that only they are living. 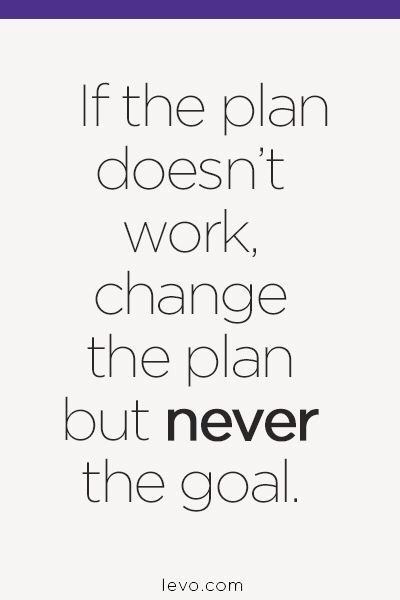 One plan will not work for every person who tries it, or it may for some time period but maybe not forever. I applaud the networks for trying to promote life changes, and healthy lifestyles, but I don’t like the way they treat things as so black and white. It may take trying every plan on earth before someone finds their right fit, and then in a few years, their life, their bodies, their needs may change, and needing to adjust is just as acceptable if it’s what YOU need. Did you watch the show? How did you like it? What plans or workouts have worked for you? What did you like about it? What plans have you tried that did not work? Why didn’t it work for you?